Here is an trainsetup for the Blender Game Engine i made yesterday, it is based on Steering Actuators. 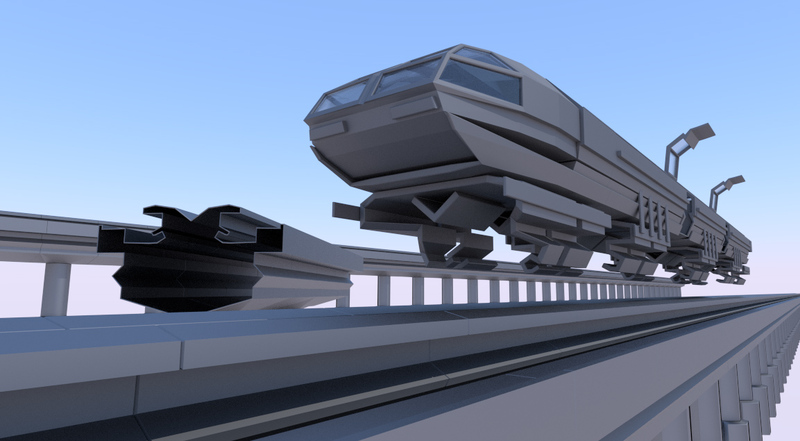 It´s an easier way to animate your train in the Blender Game Engine 🙂 . For a better understanding of the technique I used, I have marked the different railway carriages with number. You could adjust the speed of the carriages in the logic editor , each railway carriage has a Steering Actuators and there you will find the velocity setting in this demo, the velocity is set to 20.